Oscar Wilde was an Anglo-Irish novelist, playwright, poet and critic, and a celebrity in late 19th century London. Oscar Fingal O'Flahertie Wills Wilde was born in Dublin on 16 October 1854. His father was a successful surgeon and his mother a writer and literary hostess. Wilde was educated at Trinity College, Dublin and Magdalen College, Oxford. 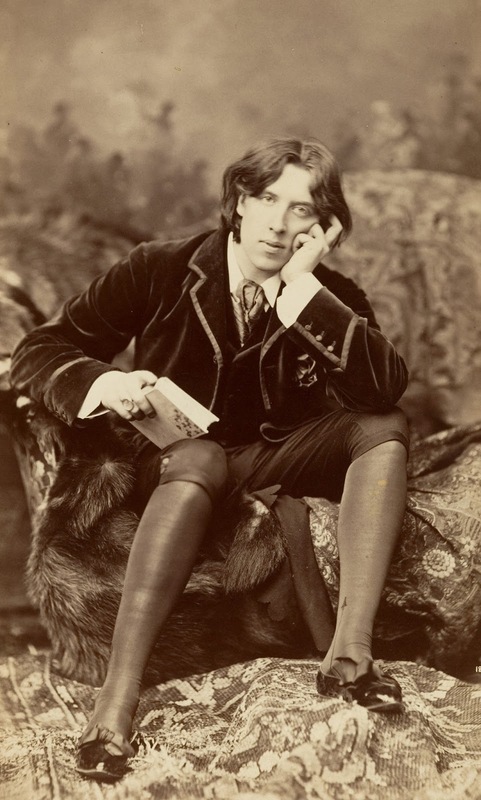 While at Oxford, Wilde became involved in the aesthetic movement. After he graduated, he moved to London to pursue a literary career. His output was diverse. A first volume of his poetry was published in 1881 but as well as composing verse, he contributed to publications such as the 'Pall Mall Gazette', wrote fairy stories and published a novel 'The Picture of Dorian Gray' (1891). His greatest talent was for writing plays, and he produced a string of extremely popular comedies including 'Lady Windermere's Fan' (1892), 'An Ideal Husband (1895)' and 'The Importance of Being Earnest' (1895). 'Salomé' was performed in Paris in 1896. Drama and tragedy marred Wilde's private life. He married Constance Lloyd in 1884 and they had two sons, but in 1891 Wilde began an affair with Lord Alfred Douglas, nicknamed 'Bosie'. In April 1895, Wilde sued Bosie's father, the Marquis of Queensberry, for libel, after the Marquis has accused him of being homosexual. Wilde lost and, after details of his private life were revealed during the trial, was arrested and tried for gross indecency. He was sentenced to two years of hard labour. While in prison he composed a long letter to Douglas, posthumously published under the title 'De Profundis'. His wife took their children to Switzerland and adopted the name 'Holland'. Wilde was released with his health irrevocably damaged and his reputation ruined. He spent the rest of his life in Europe, publishing 'The Ballad of Reading Gaol' in 1898. He died in Paris on 30 November 1900. If one cannot enjoy reading a book over and over again, there is no use in reading it at all. The pure and simple truth is rarely pure and never simple. You can never be overdressed or over educated. I am so clever that sometimes I don't understand a single word of what I am saying. A good friend will always stab you in the front. We hope guys you find our article "" by Mr Great Inspiration useful.